Adding a 2-Side Trimmer and SquareFold module to a booklet maker can easily and rapidly improve booklet quality. This is the perfect finishing touch for all your booklet making applications. Adding a 2-Side Trimmer and SquareFold module to a booklet maker can easily and rapidly improve booklet quality. This is the perfect finishing touch for all your booklet making applications. 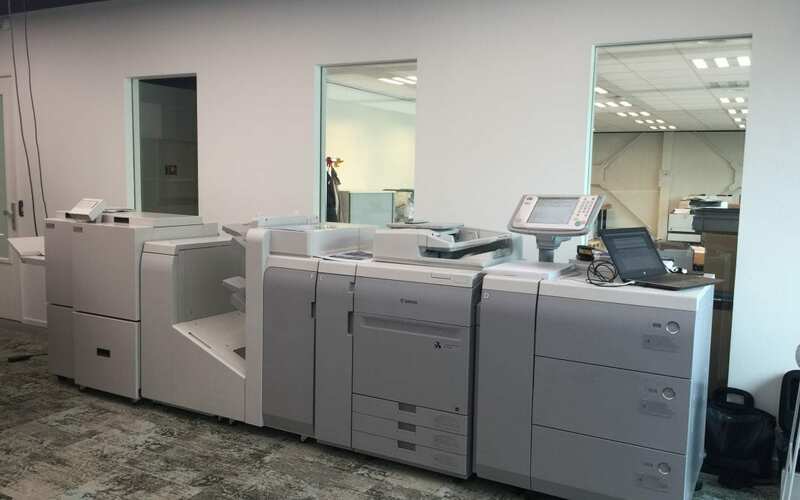 The SDD BLT7202 2-Side Trimmer and SFM7704 SquareFold Module fit directly behind the Canon D1 or F1 Booklet Finisher. This system results in a truly professional finishing touch: precisely trimmed top and bottom booklets that are easy to handle and distribute! And, compared to slitting sheet by sheet, trimming is much more accurate. This SDD system is particularly good at protecting the spine of the book where the cut is made thus avoiding damage to the booklet spine. In addition, the SquareFold Module produces a booklet with a square spine, which means that printing can take place on the spine. All in all, this is a really clever and simple way to significantly improve the appearance of your booklets! Here you can watch a short video of this system in action.